The Leading Thin Film Manufacturer First Solar (link) and Fundación Chile has announced that First Solar has acquired Solar Chile (link), which is a major Solar Developer based in Santiago, Chile, in which Fundación Chile was an early investor. The Amount is still not yet disclosed. "We have been very impressed by the quality of the Solar Chile team and the projects they are developing, and we believe that together we will bring even more value to the Chilean market," said Jim Hughes, First Solar CEO. "Combining Solar Chile's market knowledge and promising project portfolio with First Solar's resources, technology and strong execution track record offers Chile a rapid and proven path to add significant solar generation capacity, helping to meet high energy demand and support economic growth." "First Solar's acquisition of Solar Chile is a milestone of enormous significance to our country," said Alvaro Fischer, President of Fundación Chile. "It highlights the tremendous potential that solar PV energy has to change the demography and the economy of northern Chile, opening it up to new opportunities beyond mining and fishing, into water desalinization, hydrogen production or large green data centers." This culminates a strategic working alliance the two companies formed in Oct. 2011. Solar Chile has a portfolio of early- to mid-stage utility-scale photovoltaic (PV) power projects totaling about 1.5 gigawatts (GW) in Regions I, II, III, and XV in northern Chile, including the Atacama Desert region, which offers the highest solar irradiance in the world. 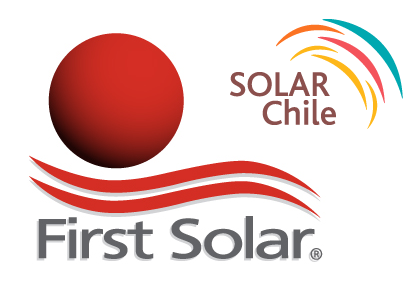 Under the terms of the agreement, the five-person Solar Chile team is joining First Solar, and Fundación Chile will provide ongoing consultation services. "Chile faces a growing energy demand from its sustained economic growth," said Hernán Cheyre, Executive Vice-President of CORFO, the Chilean government's economic development agency. "Solar energy provides a sustainable and clean energy source that takes advantage of our outstanding clear skies and irradiance. The growth of the solar industry and the arrival of First Solar validates Chile´s position as a regional hub for entrepreneurship and innovation."